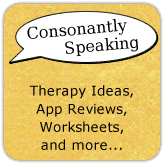 Consonantly Speaking: More to Come! First of all, I want to say thank you for all of the support and sharing that has come from this website! I am speechless (for once) to see how many people have contacted me, asked questions, "Pinned", and commented about my ideas. App lists: I have some app lists for AAC, Social skills, Expressive Language, Receptive Language, and Productivity that I have been working on since September coming up. With all of the new apps that are coming out and the research that I have been doing, they are taking a while; especially since I am writing descriptions about each app. There are a lot of great apps out there and I cannot wait to share them with you! Updated Articulation and Voice/Fluency/Hearing/Swallowing app lists: Of course right after I posted these lists on my website, I found more and more apps! I don't want to update the lists too soon after I posted them, but I will be in a month or two. Book lists: If you are connected to my Pinterest, you may have been flooded with book pins. I have been researching, and buying, lots and lots of books to use with my students during therapy sessions. I have kept a Microsoft Excel file of all of the books that I own divided by categories, and soon I will be creating a separate Excel file where I can place the books I own and the ones I don't that have to do with speech and language on. I can't wait to share this huge list with you! Therapy ideas: My camera recently broke, so I haven't been able to take pictures of activities that I am doing in my therapy room; however, my boyfriend has been so gracious as to allow me to borrow his camera (we'll see how long he lets me keep it before I have to buy a new one). Therefore, you will see a lot more posts! Therapy games: I am definitely a board game girl. My parents played board games with us growing up and we had a cabinet full. Now, I have 3 cabinets full at school! I cannot wait to share which board games I have purchased and which board games I have adapted for therapy! Worksheets/Posters/Visuals: I haven't created any yet, but I have been noticing that many speech-language pathologists have been creating and sharing worksheets between each other on Pinterest! 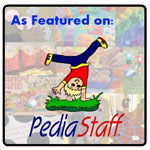 Also, with websites like Teachers Pay Teachers and Teacher's Notebook, this is definitely a great time to be sharing! I will be creating worksheets/games for therapy, posters, and worksheets to use with books in the future! Much much more! : I am not going to limit myself to what I will be posting and I cannot wait to share more with everyone! So don't go away, I'll be right back with a whole bunch more at Consonantly Speaking!